Location, location, location! Zanzibar Watersports is based at the northern tip of the island. Advantageously, this enables our clients to enjoy some of Africa’s best deep sea fishing grounds. The channel between Zanzibar and Pemba in particular, is an internationally renowned site consistently providing first-rate big game fishing opportunities. With large schools of Barracuda, Wahoo, Kingfish and Giant Travelli in the area all year round, and seasonal visits from many other species such as Marlin, big game fishing with Zanzibar Watersports will be thrilling experience you will never forget! A full set of tackle is provided with Shimano and Penn International rods and reels, spooled with 80lb, 50lb, 30lb or 20lb mono lines. Clients who wish to use their own lighter tackle are welcome (we comply with the IGFA fly fishing regulations). Our experienced skippers and crew have been fishing in these waters for decades, and have specialised in big game fishing for the last 10years. They are always happy to instruct novices and talk anglers through any procedure in the course of reeling in their catch, or just give hints and tips to improve your technique. Zanzibar Fishing was the first professional big game fishing operation on Zanzibar. Founded in 1998 by experienced fishermen and Zanzibar Watersports Managing director Chris Goodwin the company soon grew and now operates three boats. 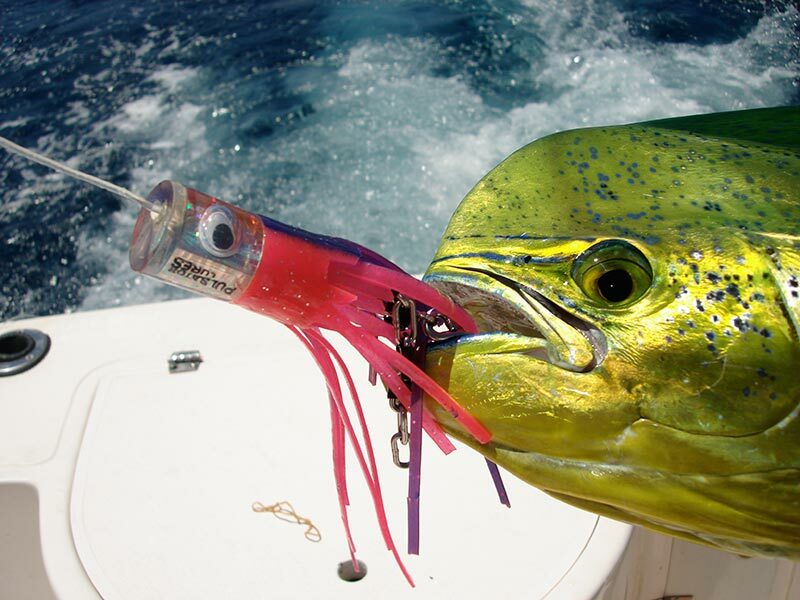 Zanzibar Fishing closely follows all International Game Fishing Association rules and recommendations. We actively encourage catch and release fishing unless it is the fisherman’s first ever catch, his biggest to date, or if it is likely to be an East African, All Africa or world record. All of our boats have a selection of rods, reels and lures and a choice of different baits depending on what you are trying to catch. Our captains can help you choose which would best suit your style and the conditions on the day. © 2019 Zanzibar Big Game Fishing.